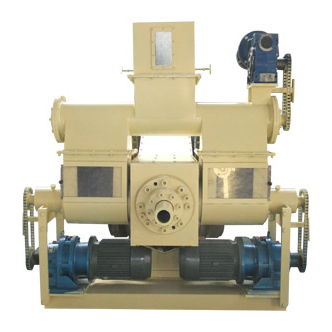 Four Rollers Double Pressing Briquette Press can supply higher pressure and higher intensity during production of briquettes, it's mainly used in the briquettes making of various color and black metallic ore powder. 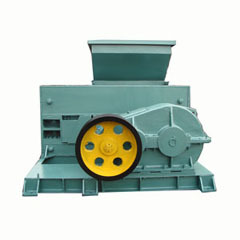 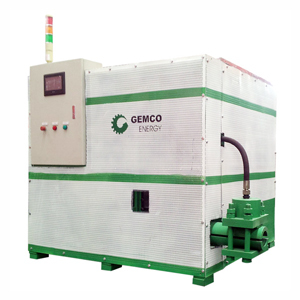 It can be used to make briquettes from coal powder, charcoal powder and coke powder with binder. 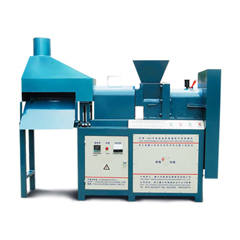 This type of briquette press is a national patent product in China. 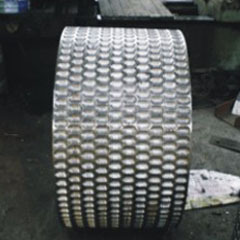 It have two larger rollers in a fixed position in the frame, the other two smaller rollers are moveable. 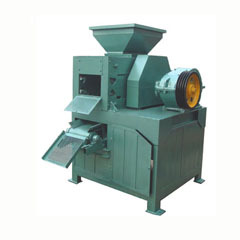 As the named implies, it has four rollers and can press briquettes for two times, so it make briquettes stronger and in higher density. 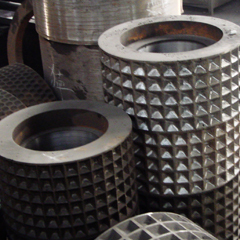 The briquette press has two larger rollers in a fixed position in the frame; the other two smaller rollers are movable. 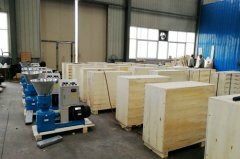 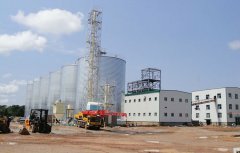 As its named implied, it has four rollers and do twice pressing in production of briquettes, so the briquette is stronger and in higher density, the surface of briquettes is smoohter.